Every adult was once a kid who grew up watching the all-time favorite Disney classics. 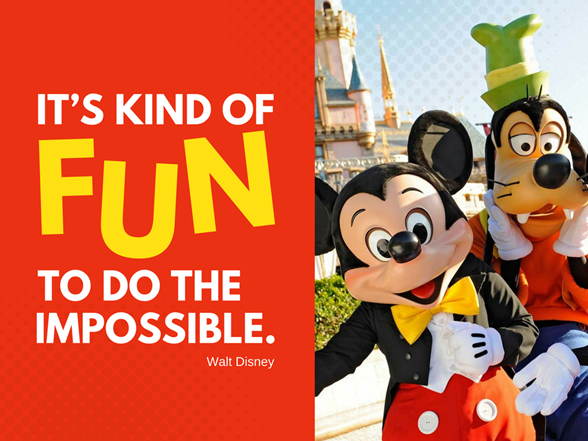 Disney has always had the hearts of children and grown-ups alike and been ruling the craziest dreams of everyone. Whether it’s Mickey and the gang, The Disney princesses, Hercules, or The lion King to name a few, no one can get enough of the Disney magic inside the animations produced. In fact, it’s a whole new world where one can hakuna matata and live their lives to the fullest. It all began when Walt Disney created Mickey with a vision; a vision that fulfilled one’s dreams and fantasies. Let’s get to know a little more about this walking sunshine’s life. Walt Disney is one of the prominent pioneers of the American animation industry, whose ideas and works revolve around dreams, growing-up, family, love, motivation, moving forward, Disney land, Disney world and so on. Since his contribution started paying off, Disney emerged as a successful and impactful brand. Using Walt Disney’s vision and insight, emotional branding peaked in the Disney animations. There is no doubt admitting that using the innovative strategies and visionary perceptions from the leading animator, Disney kept growing younger day by day. Today, Disney has homes in many of the world’s top tourist spots but the main thing is: it rules people’s hearts. Related: Martin Luther King’s Pearl Of Wisdom – 10 Quotes To Power Your Dreams! Let’s resume with where we started: Disney’s vision. 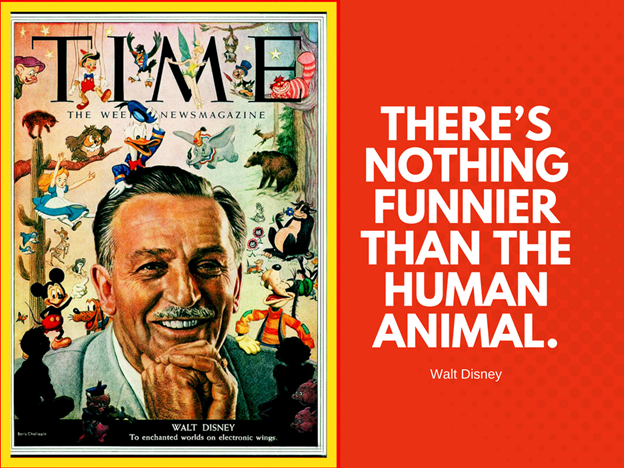 To pursue his imaginative creativity, Walt Disney strived hard to incorporate fun and liveliness into the real life. For him, life was the name of a dream coming true. He wanted people to believe in magic that life beholds. Moreover, in order to pay him the tribute for his life-long efforts, the company’s logo was designed using his name. Remember that castle with a lively ‘Walt Disney’ written under that? Yes, that’s the Disney’s trademark. However, Disney’s vision didn’t only inspire him to keep filling up the canvas of the Disney kingdom; his message colored the lives of millions across the globe. People live by his wisdom words full of hope, positive affirmation, and optimism. If you think you’re the only one whom life keeps giving lemons, you might want to check out these 14 inspiring Walt Disney quotes. These are sure to get you looking on the bright side, let you pursue your craziest dreams, and oh, help you make some lemonade as well (if you know what I mean!). So, get ready to have your day brightened with Disney!